Mac Barnett has been everywhere lately, in a good way. 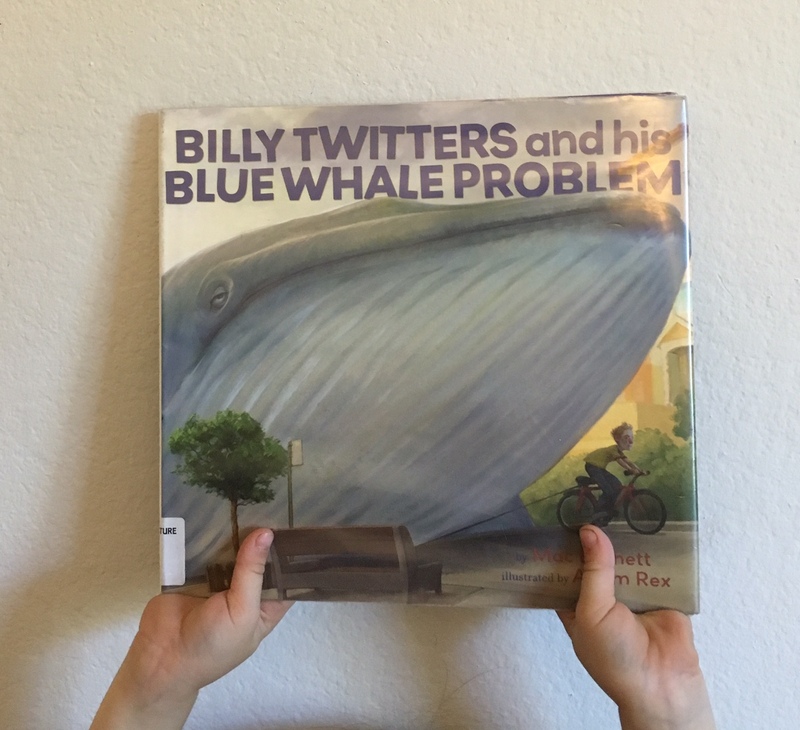 He has written so many fantastic books for children- and I have no doubt, will write many more, but his first children's book was Billy Twitters and His Blue Whale Problem. Billy is a young boy whose parents punish him for his lack of responsibility by giving him a blue whale to take care of. Billy runs into all sorts of challenges taking care of his new pet and comes up with an odd but inventive way to finally find some peace. We'd read this years ago, enjoyed it, and kind of set it aside. But then I listened to Barnett's wonderful 2014 TED Talk, Why a good book is a secret door. Barnett talks about that beautiful time, "where a story, no matter how strange, has some semblance of the truth, and then you're able to believe it... 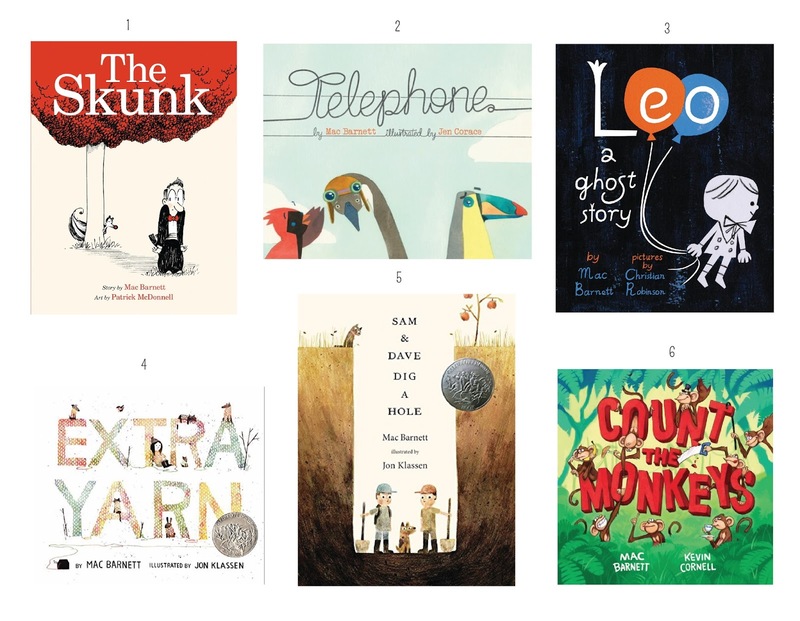 Kids can get there a lot more easily than adults can, and that's why I love writing for kids." Towards the end of the talk, Barnett talks about the fourth wall, the imaginary wall at the front of the stage where the audience sees the action. Breaking the boundary of the fourth wall occurs when the audience is engaged directly. In literature, that is when the character, or I would assume author, communicates directly with the reader. "If I'm going to break down the fourth wall, I want fiction to escape and come into the real world. I want a book to be a secret door that opens and lets the stories come out into reality. And so I try to do this in my books." And he goes on to talk about how he did this with Billy Twitters. The book opened up in a whole new way to me. I read the book differently, I talked about it differently with my little boy- and Barnett consciously helps you let the story into reality. 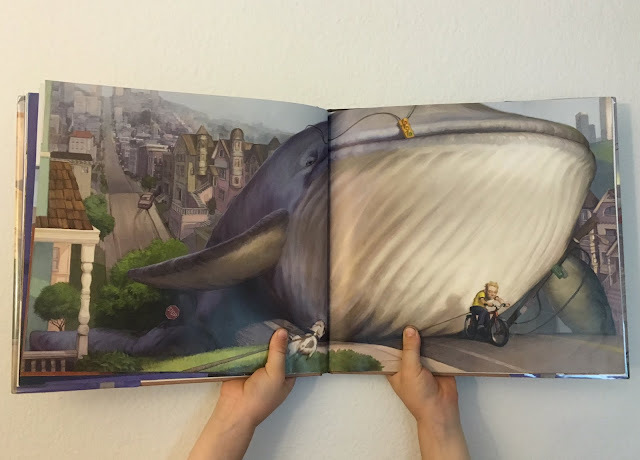 If you check under the book jacket, you'll find a place you can send a self addressed, stamped envelope to, to request your own blue whale (Hyperion Books for Children, 114 Fifth Avenue, New York, NY 10011). And your child will get a letter back from a Norwegian law firm saying that the whale has been held up because of customs laws, but gives you a number to call and leave a message for your whale. Isn't that amazing? It makes me want to look for ways to do that with all the books I'm reading with my children. How can I take the amazing world that this author and illustrator created and let some of that story out and into our reality? The possibilities are endless. And it makes me so grateful, especially as a parent, for the talented people that create stories worth letting out. Thank you, Mr. Barnett.